Boost Mobile's Shrinking Payments Mean More Money In Your Wallet | OhGizmo! This is a Sponsored post written by me on behalf of Boost Mobile’s Shrinking Payments. All opinions are 100% mine. It's one of those realities of life that you absolutely need a cellphone, these days. It's a little bit like running water and electricity; you can't just go without. So it stands to reason you'd want to do some research to find a provider that lets you get your mobile, without making too much of a dent in your budget. Boost Mobile happens to have a plan that rewards loyalty, and timeliness. It's called Boost Mobile's Shrinking Payments, and like the name says, it allows you to Get Shrinking Payments. Shrinking payments means, well, a fatter wallet. Here's how it works. Say you sign up to one of their plans, (which, by the way, are no-contract plans) and like a responsible client, you make your payments on time, every month. 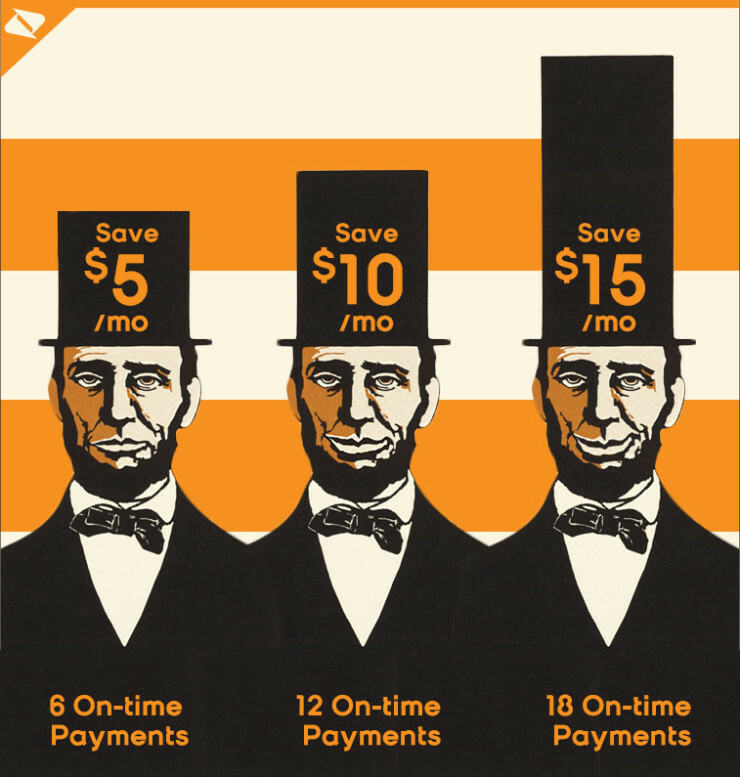 After 6 straight timely payments, Boost will take $5 off your bill. Keep paying on time, and the same thing will happen again after another 6 months. You can do this up to 3 times, for a total of $15 off your bill! Now, $15 may not sound like much, but it does represent $180 yearly. And when you're looking at their $45 monthly plan, that $15 represents a full 33%. A third off, just for making your payments on time, and sticking with Boost. Boost Mobile's plans start at $45 and go up to $60, and they all include unlimited talk, text and data nationwide. And after 18 months of loyal service, these plans will range between $30 and $45. Your only upfront cost is that of the device you plan to use. Can’t they just deduct the money from my bank account automatically? Or is this method of payment not available in USA?